The Old Town Crier made it to the island of Jost Van Dyke in the BVI’s and to the island of Barbados! There seems to be a common theme with these Old Towners – rum and more rum! 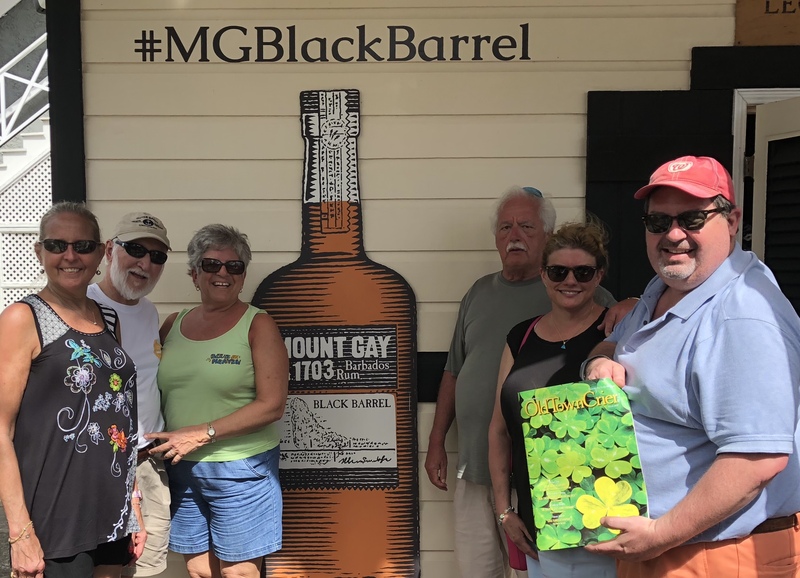 Lynne Rhoades, Brad & Cathy Bradford, Jack Rhoades, Michele Cumberland & Marty Yeager with the Old Town Crier at the Mount Gay Rum distillery. Taking it on the tour of the distillery in Bridgetown, Barbados, during their winter week vacation with friends. Cheers from Jost Van Dyke and the Soggy Dollar Bar post Hurricanes Irma and Maria. 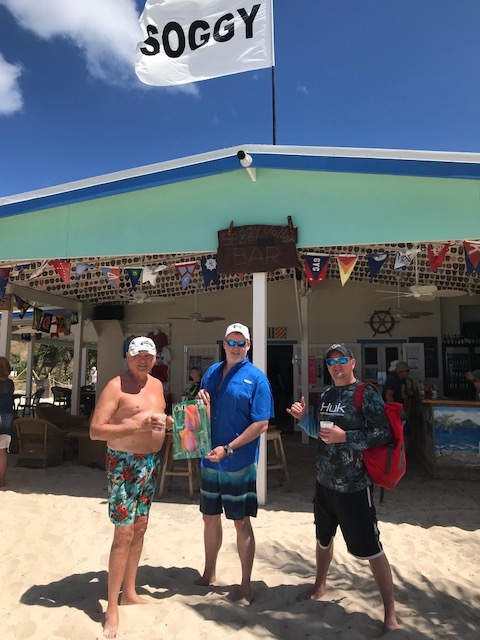 Standing left to right with the Soggy Dollar’s famous “Painkillers” in hand – Charlie, Joe and Chuck Collum were visiting the BVI on a 44’ power catamaran.